Dark green batik with green berries and branches. 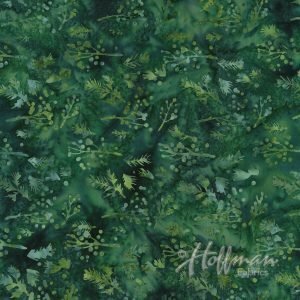 From The Bali Batiks collection by Gwen Carreon for Hoffman Fabrics. 43"-44" wide. 100% cotton.